Get your coloring pencils ready! 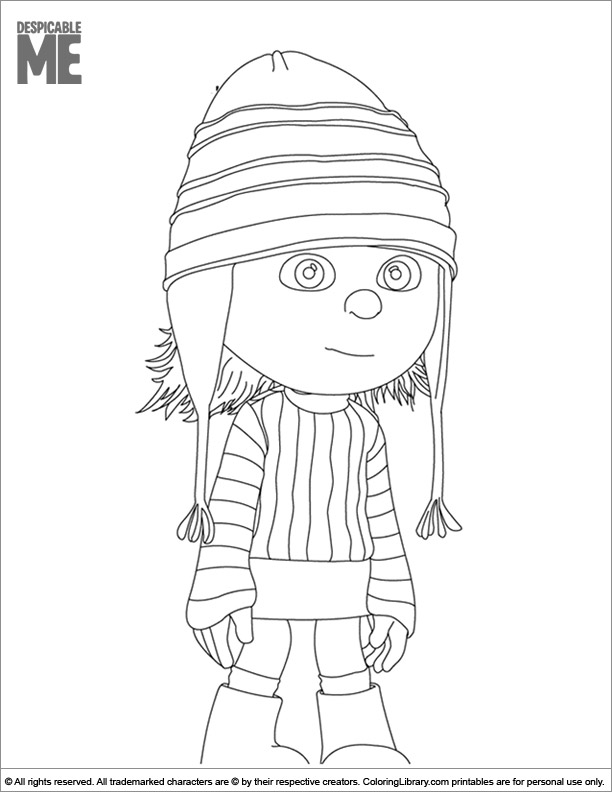 Press the print button so your kids can start this fun coloring activity! Use glue and glitter to spice up this Despicable Me coloring book page for kids. Enjoy our free coloring pages! If you are looking for more Despicable Me coloring pages the take a look at our coloring library.